James W. P. Campbell is a fellow and director of studies in architecture and history of art at Queens’ College, Cambridge. His most recent books include Brick: A World History (also with Will Pryce) and Building St Paul’s. Will Pryce is an award-winning photographer based in London who originally trained as an architect. His previous books include World Architecture: The Masterworks, Big Shed, and The Architecture of Wood: A World History. 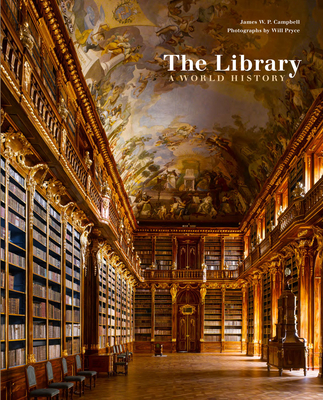 "In a new book, The Library: A World History, author James Campbell and photographer Will Pryce survey the world's libraries, from the expansive new National Library of China to the Tripitaka Koreana, which was built in 1251 in South Korea and is one of the oldest intact libraries in the world. The book is full of interesting asides." “The photographs by Will Pryce are technically flawless, and they give point and purpose to a text which is not only informative but persuasive. The message is clear: of the making of libraries there can be no end."